Delicious meals and great service, no wonder we have so many happy customers! 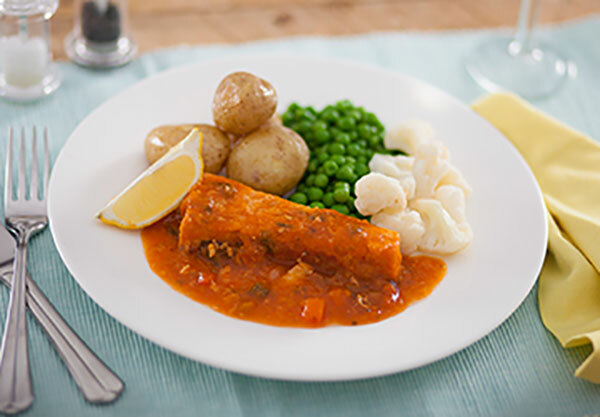 Here at Camms Meals on Wheels Ltd, we pride ourselves in providing meals that are good quality and nutritious for the elderly, infirm and those who are temporarily unable to prepare meals for themselves and all at affordable prices. We are able to offer a tailored approach to your meal with vegetarian and most other dietary requirements catered for. Our meals are delivered by friendly and experienced drivers. You will have the same driver deliver to you for however many days of the week you choose to have your meals. You and your driver to get to know one another and you and your family have peace of mind knowing that you are receiving a regular visit from a familiar face – as well as a nutritious hot meal. We deliver to Cambridge and all surrounding villages, St Neots, St Ives and the surrounding areas and throughout Cambridgeshire & Ely and surrounding towns and villages. We are continuously expanding our delivery areas through demand and we are always happy to deliver to you and begin a new route should there be enough demand – please call and ask.